Moonroof, Remote Engine Start, Dual Zone A/C, Smart Device Integration, Full-Time 4MATIC® All-Wheel Drive, Aluminum Wheels, Turbo Charged Engine, Panoramic Roof, Onboard Communications System, iPod/MP3 Input, Back-Up Camera. C 300 trim. FUEL EFFICIENT 31 MPG Hwy/22 MPG City! READ MORE! KEY FEATURES INCLUDE Sunroof, Panoramic Roof, Full-Time 4MATIC® All-Wheel Drive, Back-Up Camera, Turbocharged, iPod/MP3 Input, Onboard Communications System, Aluminum Wheels, Remote Engine Start, Dual Zone A/C, Smart Device Integration, Brake Actuated Limited Slip Differential, WiFi Hotspot. MP3 Player, Keyless Entry, Steering Wheel Controls, Heated Mirrors, Electronic Stability Control. EXPERTS RAVE KBB.com's review says While comfort and quiet are a priority, the C-Class is willing to hustle. In fact, the 2019 C-Class is respectably quick. In addition to being fleet, the C-Class is also remarkably stable and smooth.. Great Gas Mileage: 31 MPG Hwy. 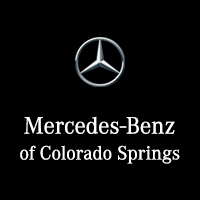 WHY BUY FROM US Welcome to Mercedes-Benz of Colorado Springs. Thank you for taking a moment to view this vehicle. We are one click away for a live chat, send an email, call or visit in person. Whether you are visiting to gather information, search for a new or pre-owned vehicle, we hope to provide the highest level of assistance. Please feel free to request additional information or set up an appointment. We're here to make your shopping simple. Fuel economy calculations based on original manufacturer data for trim engine configuration. Please confirm the accuracy of the included equipment by calling us prior to purchase. Offer is valid through 2019-04-25.Moonroof, Remote Engine Start, Dual Zone A/C, Smart Device Integration, Full-Time 4MATIC® All-Wheel Drive, Aluminum Wheels, Turbo Charged Engine, Panoramic Roof, Onboard Communications System, iPod/MP3 Input, Back-Up Camera. C 300 trim. FUEL EFFICIENT 31 MPG Hwy/22 MPG City! READ MORE! Sunroof, Panoramic Roof, Full-Time 4MATIC® All-Wheel Drive, Back-Up Camera, Turbocharged, iPod/MP3 Input, Onboard Communications System, Aluminum Wheels, Remote Engine Start, Dual Zone A/C, Smart Device Integration, Brake Actuated Limited Slip Differential, WiFi Hotspot. MP3 Player, Keyless Entry, Steering Wheel Controls, Heated Mirrors, Electronic Stability Control. Sunroof, Heated Leather Seats, NAV, Power Liftgate, Back-Up Camera, Panoramic Roof, AMG® PERFORMANCE STUDIO PACKAGE, MULTIMEDIA PACKAGE, PORCELAIN/BLACK, LEATHER UPHOLSTERY, DRIVER ASSISTANCE PACKAGE, Full-Time All-Wheel Drive, Turbo, AMG® PERFORMANCE STEERING WHEEL W/NAPP... AMG® C 43 trim, Polar White exterior and Porcelain/Black interior. AND MORE! KEY FEATURES INCLUDE Sunroof, Panoramic Roof, Full-Time All-Wheel Drive, Power Liftgate, Heated Driver Seat, Back-Up Camera, Turbocharged, Premium Sound System, Satellite Radio, iPod/MP3 Input, Onboard Communications System, Remote Engine Start, Dual Zone A/C, Smart Device Integration, WiFi Hotspot Keyless Entry, Remote Trunk Release, Steering Wheel Controls, Heated Mirrors, Electronic Stability Control. OPTION PACKAGES AMG® PERFORMANCE STUDIO PACKAGE Wheels: 19 Black Multispoke, Tires: 225/40R19 Fr & 255/35R19 Rr, High Performance Tires, Night Package (P55), AMG® Optics Package, gloss black front splitter, side skirts, spoiler lip and rear apron flics, MULTIMEDIA PACKAGE Car-To-X communication, COMAND® Navigation, Live Traffic, Touchpad, Navigation Map Updates Included for 3 Years, DRIVER ASSISTANCE PACKAGE Speed Limit Assist, Driver Assistance Package, Lighting, Active Distance Assist DISTRONIC®, Route-Based Speed Adaptation, PORCELAIN/BLACK, LEATHER UPHOLSTERY WHO WE ARE Welcome to Mercedes-Benz of Colorado Springs. Thank you for taking a moment to view this vehicle. We are one click away for a live chat, send an email, call or visit in person. Whether you are visiting to gather information, search for a new or pre-owned vehicle, we hope to provide the highest level of assistance. Please feel free to request additional information or set up an appointment. We're here to make your shopping simple. Horsepower calculations based on trim engine configuration. Please confirm the accuracy of the included equipment by calling us prior to purchase. Offer is valid through 2019-04-25.Sunroof, Heated Leather Seats, NAV, Power Liftgate, Back-Up Camera, Panoramic Roof, AMG® PERFORMANCE STUDIO PACKAGE, MULTIMEDIA PACKAGE, PORCELAIN/BLACK, LEATHER UPHOLSTERY, DRIVER ASSISTANCE PACKAGE, Full-Time All-Wheel Drive, Turbo, AMG® PERFORMANCE STEERING WHEEL W/NAPP... AMG® C 43 trim, Polar White exterior and Porcelain/Black interior. AND MORE! Sunroof, Panoramic Roof, Full-Time All-Wheel Drive, Power Liftgate, Heated Driver Seat, Back-Up Camera, Turbocharged, Premium Sound System, Satellite Radio, iPod/MP3 Input, Onboard Communications System, Remote Engine Start, Dual Zone A/C, Smart Device Integration, WiFi Hotspot Keyless Entry, Remote Trunk Release, Steering Wheel Controls, Heated Mirrors, Electronic Stability Control. Moonroof, Heated Seats, Satellite Radio, iPod/MP3 Input, Full-Time All-Wheel Drive, Aluminum Wheels, Turbo Charged Engine, Panoramic Roof, Premium Sound System, Back-Up Camera, Power Liftgate, While comfort and quiet are a priority, the C-Class is willing to hustle. In fact, the 2019 C-Class is respectably quick...In addition to being fleet, the C-Class is also remarkably stable and smooth. -KBB.com. AMG® C 43 trim. CLICK ME! KEY FEATURES INCLUDE Sunroof, Panoramic Roof, Full-Time All-Wheel Drive, Power Liftgate, Heated Driver Seat, Back-Up Camera, Turbocharged, Premium Sound System, Satellite Radio, iPod/MP3 Input, Onboard Communications System, Aluminum Wheels, Remote Engine Start, Dual Zone A/C, Brake Actuated Limited Slip Differential. Rear Spoiler, MP3 Player, Keyless Entry, Remote Trunk Release, Steering Wheel Controls. EXPERTS REPORT KBB.com's review says While comfort and quiet are a priority, the C-Class is willing to hustle. In fact, the 2019 C-Class is respectably quick. In addition to being fleet, the C-Class is also remarkably stable and smooth.. MORE ABOUT US Welcome to Mercedes-Benz of Colorado Springs. Thank you for taking a moment to view this vehicle. We are one click away for a live chat, send an email, call or visit in person. Whether you are visiting to gather information, search for a new or pre-owned vehicle, we hope to provide the highest level of assistance. Please feel free to request additional information or set up an appointment. We're here to make your shopping simple. Please confirm the accuracy of the included equipment by calling us prior to purchase. Offer is valid through 2019-04-25.Moonroof, Heated Seats, Satellite Radio, iPod/MP3 Input, Full-Time All-Wheel Drive, Aluminum Wheels, Turbo Charged Engine, Panoramic Roof, Premium Sound System, Back-Up Camera, Power Liftgate, While comfort and quiet are a priority, the C-Class is willing to hustle. In fact, the 2019 C-Class is respectably quick...In addition to being fleet, the C-Class is also remarkably stable and smooth. -KBB.com. AMG® C 43 trim. CLICK ME! Sunroof, Panoramic Roof, Full-Time All-Wheel Drive, Power Liftgate, Heated Driver Seat, Back-Up Camera, Turbocharged, Premium Sound System, Satellite Radio, iPod/MP3 Input, Onboard Communications System, Aluminum Wheels, Remote Engine Start, Dual Zone A/C, Brake Actuated Limited Slip Differential. Rear Spoiler, MP3 Player, Keyless Entry, Remote Trunk Release, Steering Wheel Controls. Heated Seats, Sunroof, Satellite Radio, iPod/MP3 Input, Full-Time All-Wheel Drive, Alloy Wheels, Turbo, Panoramic Roof, Premium Sound System, Back-Up Camera, Power Liftgate, While comfort and quiet are a priority, the C-Class is willing to hustle. In fact, the 2019 C-Class is respectably quick...In addition to being fleet, the C-Class is also remarkably stable and smooth. -KBB.com. AMG® C 43 trim. CLICK ME! KEY FEATURES INCLUDE Sunroof, Panoramic Roof, Full-Time All-Wheel Drive, Power Liftgate, Heated Driver Seat, Back-Up Camera, Turbocharged, Premium Sound System, Satellite Radio, iPod/MP3 Input, Onboard Communications System, Aluminum Wheels, Remote Engine Start, Dual Zone A/C, Brake Actuated Limited Slip Differential Rear Spoiler, MP3 Player, Keyless Entry, Remote Trunk Release, Steering Wheel Controls. EXPERTS CONCLUDE KBB.com explains While comfort and quiet are a priority, the C-Class is willing to hustle. In fact, the 2019 C-Class is respectably quick. In addition to being fleet, the C-Class is also remarkably stable and smooth.. VISIT US TODAY Welcome to Mercedes-Benz of Colorado Springs. Thank you for taking a moment to view this vehicle. We are one click away for a live chat, send an email, call or visit in person. Whether you are visiting to gather information, search for a new or pre-owned vehicle, we hope to provide the highest level of assistance. Please feel free to request additional information or set up an appointment. We're here to make your shopping simple. Please confirm the accuracy of the included equipment by calling us prior to purchase. Offer is valid through 2019-04-25.Heated Seats, Sunroof, Satellite Radio, iPod/MP3 Input, Full-Time All-Wheel Drive, Alloy Wheels, Turbo, Panoramic Roof, Premium Sound System, Back-Up Camera, Power Liftgate, While comfort and quiet are a priority, the C-Class is willing to hustle. In fact, the 2019 C-Class is respectably quick...In addition to being fleet, the C-Class is also remarkably stable and smooth. -KBB.com. AMG® C 43 trim. CLICK ME!